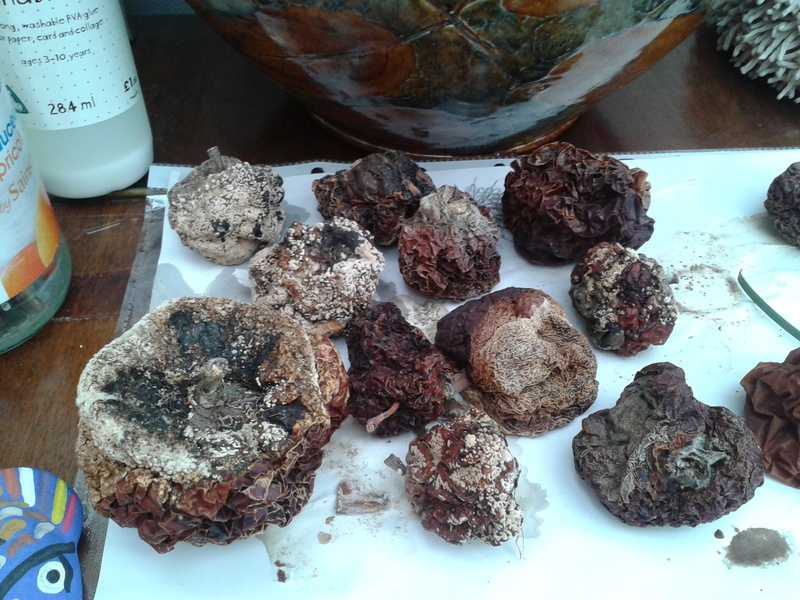 Image: Windfall apples from Renate’s garden on top of the family piano with her drawing materials. In 2014 I developed a survey project for The Knitting & Stitching Show, of work by textile artist Renate Keeping. This exhibition was initially developed as a retrospective after consultation with Renate, a former member of the 62 Group, to look at the themes that recurred throughout her working life, around family, love, ageing and the natural world. Sadly Renate passed away in spring 2014 and so the project developed into a memorial. I divided the gallery into zones that looked at her major autobiographical gallery, studies of food and fruit, and studies of the elderly. There was also some work by her late husband, illustrator Charles Keeping, to give some context for Renate’s life and surroundings. The finished exhibition toured England and Ireland in autumn 2014, with the invaluable support of Renate’s family. 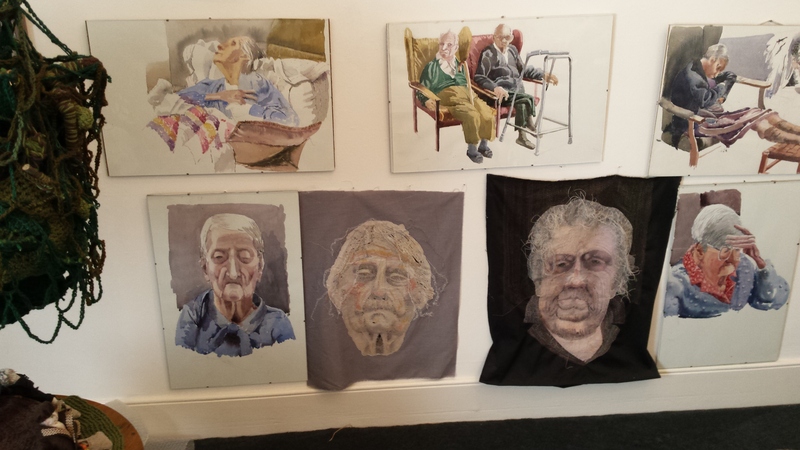 Image: Watercolour and stitch studies of older people in Renate’s home. Find out more about Renate and Charles Keeping.